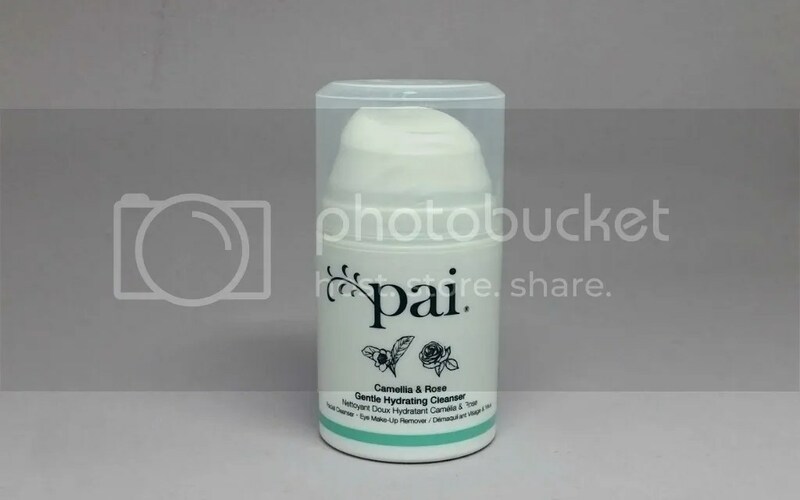 The Pai Camellia & Rose Gentle Hydrating Cleanser is claimed to be usable as a facial cleanser and eye make-up remover. It’s free of detergent and alcohol, and contains omega 3, plant oil extracts and vitamins to replenish the skin’s moisture. I’ve been using this for over a month now, and it’s pretty much on its last legs, which for me, is quite fast for a cleanser. Cleanser: massage 2-3 pumps on damp skin. Use warm damp muslin cloth to remove cream using gentle circular movements, avoiding eye area. Finish with a splash of cool water. Eye Make-up Remover: apply 1 pump on a cotton pad and gently sweep over eye area. This comes with a pump plastic bottle. 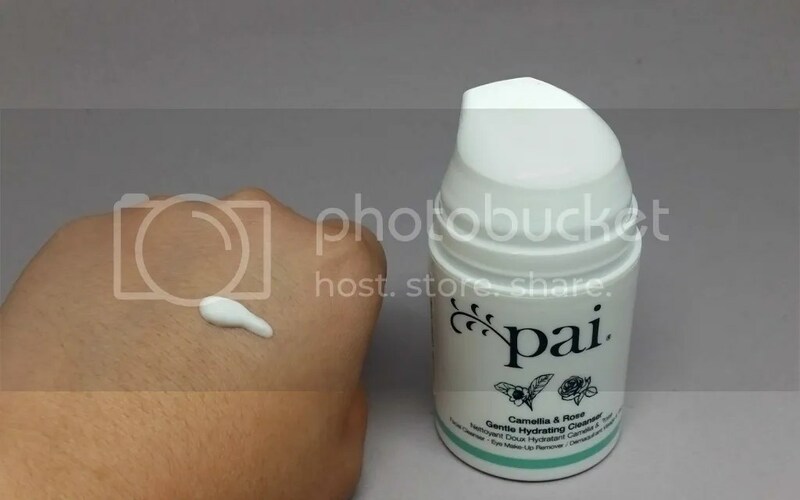 The cleanser has a cream texture that’s not very dense but not very light either. It has a light floral scent, which I like and I don’t it to be too strong. I’m so confused because the directions for it as a cleanser says to avoid the eye area, but this is also supposed to be an eye make-up remover; so why do I have to avoid the eye area? To be honest, I hate using this as a facial cleanser; I find that this leaves an oily film on the skin that is impossible to wash off without a muslin cloth. I know, the instructions says to use one but I don’t always have one on hand and I don’t enjoy oily cream cleansers. The positive side is that it doesn’t strip my skin of moisture; it’s very comforting for extra-dry skin days. As an eye make-up remover, it works great – it removes waterproof eye make-up easily without me having to rub on my eyes. It still does leave behind an oily film, but I would always wash my face again after using make-up removers, so mentally I’m more comfortable with it. This costs about GBP28 for a 100ml bottle. Personally, I wouldn’t repurchase because I find it too cumbersome and oily for daily use, but I can see it being a good product for people with very very dry skin who do need a cleanser that is oilier than normal. Sounds nice, I prefer using cloths so this might work great for me.